I remember the days when the “O” word was a swear word when it came to travel for me. As a standby pass traveler, you never wanted to hear the word “oversold” as it meant there was essentially no chance of you getting on the flight unless a large group had a miss-connect. Well, times have sort-of changed. I, of course, sympathize with my FA friends and family when it comes to not wanting an oversold flight so standby passengers get the chance to get on the plane, but if the flight is oversold… I definitely want to take advantage (when possible). I recently went on a trip to Boston and when I checked-in at the Delta counter there was a prompt on my screen asking me if I would be willing to volunteer and if so, for how much? Being that I was scheduled for the earliest flight and I didn’t have to arrive in Boston until the early evening I put myself down for a $500 voucher and went about my morning. When I arrived at the gate the gate agent was calling my name. I walked up to the counter and she had asked if I would still be interested in potentially giving up my seat for a later flight as they needed almost 10 volunteers. I verified that I would have a confirmed seat on a flight that would still arrive prior to when I needed to get to my destination and said yes. The Gate Agent thanked me and asked that I wait around the gate until the end of boarding to see if they would still need my seat (as well as the others that had volunteered). For the next fifteen minutes or so, the Gate Agent was still asking for additional volunteers and bumped up the voucher to $600 and a confirmed seat on a flight a few hours later. Finally, they got the volunteers they needed and went forward with boarding. It ended up that they needed all of the volunteers they had requested. They asked us to wait until the flight departed and they would assist us with getting us confirmed on our flights and provide our vouchers. Delta is doing this great thing where they are offering gift cards for their vouchers in Minneapolis (and a few other cities) instead of the standard Travel/Airfare voucher. What this does is allows for volunteers to select a gift card of their choice ranging from options including Best Buy, Target, Macy’s, American Express and more! I absolutely love that they have gone this route. After the flight departed, each of us were called up and they got us our voucher and ticket information right away. In fact, we all received vouchers for the highest amount offered (instead of the amount that we agreed to give up our seat at). They even gave each of the volunteers (21+) a couple free drink tickets to enjoy a beverage on an upcoming flight as another thank you! It was an easy and painless experience. In fact, my Gift Cards were waiting for me when I arrived home and I already know what I’m going to spend them on – an upcoming trip to Japan with M! Pro Tip: I have SkyClub, Priority Pass and Escape Lounge access thanks to my American Express Platinum card and was able to enjoy some snacks and high-speed internet while I waited for a flight that was a few hours later. Made it much easier to wait around the airport and didn’t cost me anything extra. 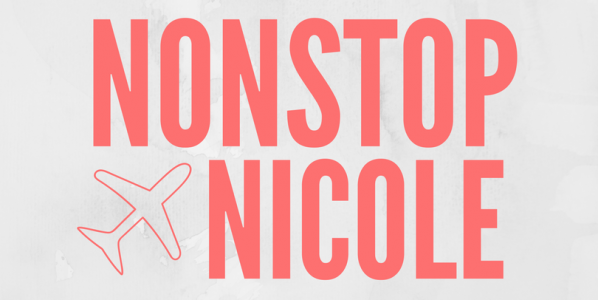 Althougth, I don’t want flights to be oversold for the sake of the “Standby” life… if it has to happen – I am going to try to take advantage as it could help pay for a future trip, expense or need!